Computes a buffer around geom of size bufferSize (given in projection units). 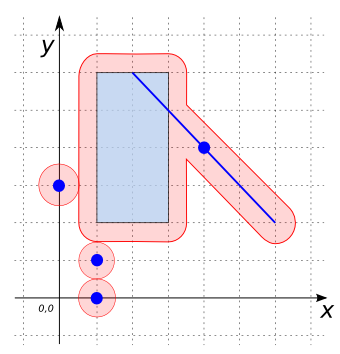 Note: This example shows that the only difference between a circle constructed using ST_MakeEllipse and a circle constructed using ST_Buffer is the number of line segments in the approximation. 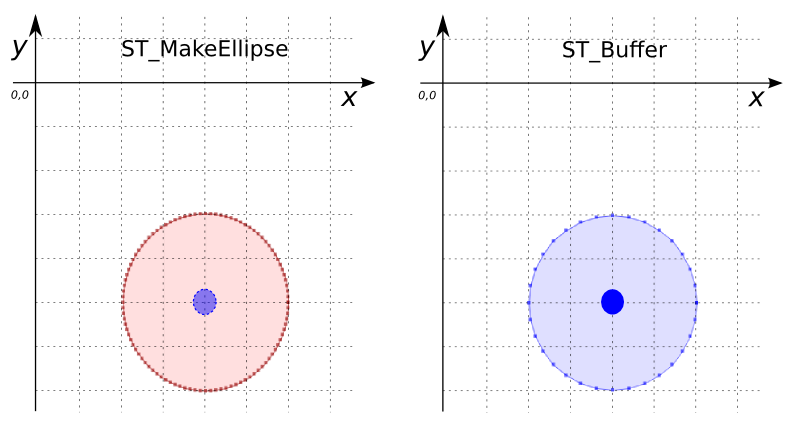 ST_MakeEllipse is more fine-grained (100 segments rather than 32).